The beer garden at the Wednesday evening Ann Arbor Farmers Market, sponsored by the HomeGrown Festival, runs through September 5. Update 11:25 a.m.: Correction: Forget what I said below about the midnight release of Fat Tire at Ashley's. Say goodbye to the relatively tranquil and student-free Ann Arbor summer. Beginning this week the roads will be clogged with moving trucks, bars and restaurants will have longer lines, good parking spaces will become harder to come by, and things around town will get more hectic in general. At least we still have good beer, and we can even look forward to great fall brews like pumpkin ales and Oktoberfest lagers. But more on those another time; for now, let’s bid farewell to another season with one fantastic Week in Beer. » Brew for the River, a series of beer releases at local breweries to benefit the Huron River Watershed Council, continues at Grizzly Peak, 120 W. Washington, from 5-7:30 p.m. Head brewer Duncan Williams will present his Swift Run Ale, a blend of Grizzly’s Steelhead Red Ale and Michigan Saisonniere with Michigan-grown wheat, hops, bee balm, and yarrow. (See more details here.) More river trivia contests, door prizes, and other fun stuff is also in the offing with the HRWC crew. For those with Brew Passports, don’t forget to bring them to get them stamped! Once again, beer proceeds go to the HRWC. 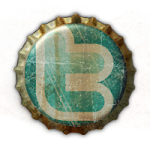 Next week: Arbor Brewing and brewer Logan Schaedig’s Silver Creek Ale. » The homebrewers club with the best acronym, SLAB (South Lyon Area Brewers), is holding its monthly meeting at Witch’s Hat Brewing, 22235 Pontiac Trail, South Lyon, beginning at 7:30 p.m. Beginners, experienced brewers, and everyone in between are welcome to come and talk (and drink) beer and be part of the up-and-coming South Lyon beer scene, yo. 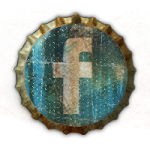 And be sure to follow SLAB on the Facebooks. » Another summer of German Park draws to a close with the last public picnic of 2012, beginning at 4 p.m. (or, really, if you want a good spot in line, hours before that) and lasting until 11. Bring wads of cash (no credit cards are accepted and no ATM is available) for the $5 admission as well as money for buckets of German beer and plates of sausages, sauerkraut, and other Deutsche delicacies. Visit germanpark.com for more details, and read a nice feature on German Park from Concentrate Media here. » Colorado's New Belgium Brewing, the country's third largest craft brewery and seventh largest overall, is finally touching down in Michigan, and of course Ashley's, 338 S. State, is first in line offering a midnight bottle release of is offering the brewery's hugely popular flagship beer, Fat Tire Amber Ale, along with another five or six (including Ranger IPA, Trippel Belgian Style Ale, Shift Pale Lager, and Red Hoptober Red Ale) NBB brews. Monday night (some would consider it Sunday morning) at 12:01 a.m., Be at Ashley's when they open Monday to be among the first in the whole freakin' state to get your tastebuds on this new entrant into the Michigan craft beer market. » Head back to Ashley's at 6 p.m. to enjoy the tapping of 14 different beers from Arbor Brewing, including some new and rare brews. On tap will be Bollywood Blonde Ale, Buzzsaw IPA, F50 Imperial Rye IPA, Flamboyant Wild Red Sour Ale, Green Giant Organic Imperial Pilsner, Hoptoberfest Marzen, Hoptown Brown Ale, Mackinac Island Fudge Stout, Raspberry Stout, Red Snapper Roasted Pale Ale, Sacred Cow IPA, Strawberry Blonde Ale, Ypsi Gypsi Pale Ale, and Ypsitucky Bourbon Ale. Now I’m thirsty. » Or head to Arbor’s sister joint, Corner Brewery, 720 Norris, Ypsilanti, for a release party for Phat Abbot Dubbel from 6-8 p.m. Plenty of the Belgian-style abbey ale will be pouring, along with snacks and, of course, beery conversation. 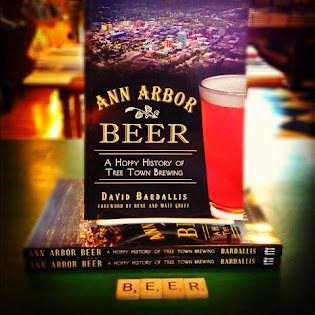 Event is free for Arbor and Corner Mug Club members and $10 for wanna-bes. 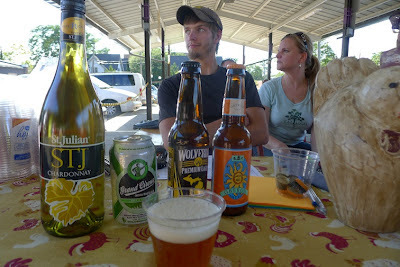 » Did you know there was a beer garden at the Wednesday evening Ann Arbor Farmers Market? Well, there is, but don’t get used to it. After this week and next it will be gone again. It’s all leading up to the Sept. 8 HomeGrown Festival, which is sponsoring the beer garden. Available beers include Atwater Grand Circus IPA, Bell’s Oberon Ale, and Wolverine Premium Lager. Wine is available for non-beer people, and live music is available for everyone. Runs from 4:30-8:30 p.m.
» Every St. Patrick’s Day, purists complain about green beer, but the Corner Brewery will be serving green beer all year long from here on out. I don’t mean that nasty food coloring; I mean the largest solar array installed on any brewery east of the Mississippi. Join owners Matt and Rene Greff from 5-6 p.m. as they ceremonially “flip the switch” on their Green Brewery Project (see details here) and explain the energy efficiency improvements the brewery has achieved by “going green.” Cash bar and light refreshments provided. The Chelsea Alehouse wants you! If any more proof were needed that Michigan beer creates Michigan jobs, then look no further than the just-posted help wanted ad from the Washtenaw area’s newest brewery, which is planning on a late fall opening. Do you have what it takes? 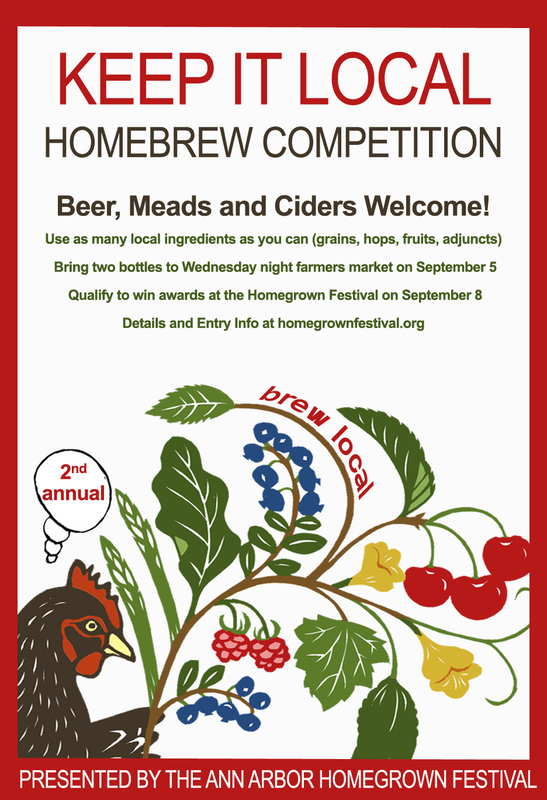 Enter your homebrewed beer, mead, or cider, in the HomeGrown Festival's 2nd Annual Keep It Local Homebrew Competition. Submit two bottles at the Sept. 5 Ann Arbor Farmers Market and then come to the Festival on Sept. 8 to see if you won any fabulous prizes. Details here.